“The Stone Pony has become the place where bands are born, or go to die. Hopefully we’re being born,” said The Bansai Bills guitarist Dan Galvano on Thursday night. The band was slotted to play at 8 pm at Asbury Park, New Jersey’s historical venue, a time that used to be envious but these days wasn’t drawing much attention. Credited with launching many famous musical careers, most notably Bruce Springsteen’s, The Stone Pony is draws sporadic crowds and can’t be relied on for picking good artists. This past Thursday was an exception. The Bansai Bills drew a small but passionate crowd of friends and family for their opening 45-minute set. Two drummers keep the energy high and beats complex, even through their straightforward rock songs, while the bass player brings the funk element, shining in covers like Talking Heads’ “Life During Wartime,” in which they seamlessly added a “Tube” (Phish) section. The guitarist has an uncanny shredding ability, most apparent in their improvisational jams, and a diverse, beautiful voice that is best exemplified by his poetic original lyrics. Accompanying this jazz-influenced, classic rock sound was a rhythm keytarist with a raspy singing voice to contrast the sweetness of their lead singer. The second act was a group called Hey Anna, and appropriately, they were led by three sweet-looking young ladies on bass, rhythm guitar, and keys. All of them had imperfectly straight brown hair, bangs, timid little smiles, and beautiful but strange voices. The two gentlemen supporting them, on lead guitar and drums, were similarly bashful in stance and stage-presence, but the band brought a surprising volume and passion to their set. Undeniably an ideal indie band, Hey Anna offers danceable, singer-songwriter tracks and keeps it unpredictable by switching instruments and singers. Next up was a group of rowdy-looking young men called Funkaholics Anonymous. Their lead singer had a huge stage presence, so charismatic it was hard to ignore, easily drawing the biggest crowd of the night. While they played a good blend of originals and covers, jammed a little, and kept the room vibrant with energy, they never got quite as funky as their name implies. In an almost teasing manner, they gave tastes of their funk style but didn’t truly deliver and in this way, an otherwise impressive set was a little disappointing. 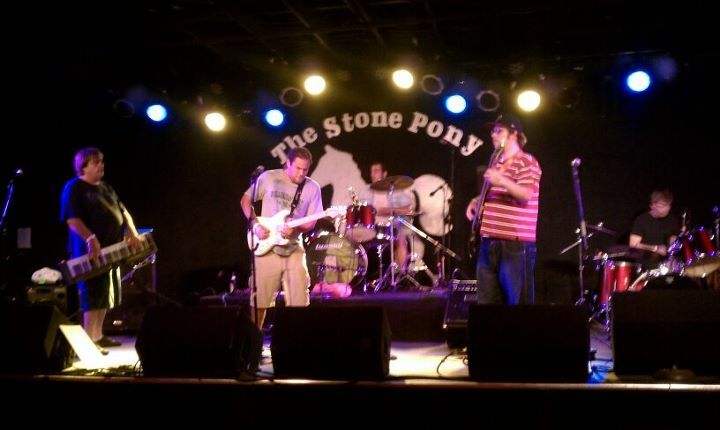 Closing the night was The Stone Pony’s house band, Loose Fit. Whether or not the band and their fans were of legal drinking age didn’t seem to matter after the first song- they were high energy and fascinatingly talented. 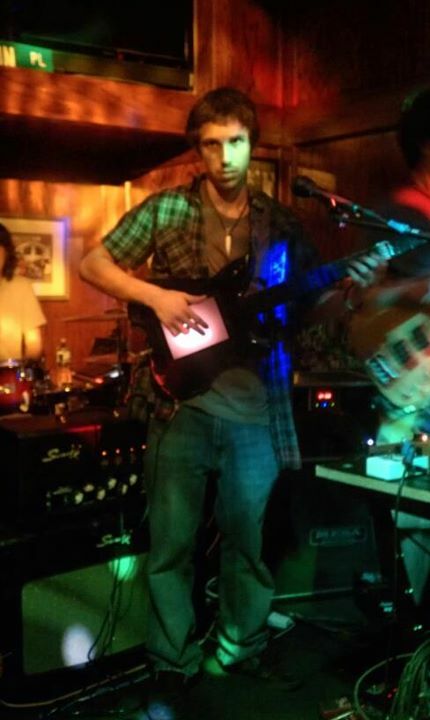 The lead guitarist kept his head down, hair covering his face, and his fingers flying up and down the guitar neck. Their rhythm guitarist, keys, and lead singer, was clearly the center of the young-girl fan base attention, but not without reason. The long, blond locks probably helped but his soulful voice and the bands diverse song selections make them an obvious choice for house band.